The Woodlanders is the latest read in my on-going Hardy challenge. Several friends and I have been reading (or re-reading in my case) all of Hardy’s fiction in chronological order. I’m not sure why this is only the second time I’ve read The Woodlanders, as I remember been mesmerised by it when I was eighteen. I can remember clearly where I was when I read it – and despite always meaning to, I never managed to get around to re-reading it in the intervening years. I am so glad I left it until now, as it has been such a joy. I love my Hardy, as many of you will know, and those fond memories of my first reading of it have been upheld. Despite not being a happy story – that’s maybe no surprise, this is Thomas Hardy we are talking about – The Woodlanders is less melodramatic than some of Hardy’s best known novels. The themes are familiar ones, and in The Woodlanders there are definite echoes of previous novels such as Under the Greenwood Tree and Far from the Madding Crowd, and the tragic Tess of the D’Urbervilles which came four years later. Hardy’s preoccupations with marriage, sexual mores, social equality and rural life are all present in this wonderful novel. The canvas is less broad than say The Return of the Native and Far from the Madding Crowd, mainly a small woodland community, the hamlet of Little Hintock. At the heart of this small community is George Melbury who has educated his daughter Grace considerably above her social station. Grace promised to local man Giles Winterbourne returns from school to her father’s house seeing her home with new eyes. Melbury’s ambitions for his daughter cause him to regret an earlier vow to Giles’s father. Into this rural idyll of timber dealers and woodland workers come two outsiders. To Hintock house, comes landowner the beautiful widow Felice Charmond, while a gifted young doctor Edred Fitzpiers comes to take up a small hillside practice nearby. 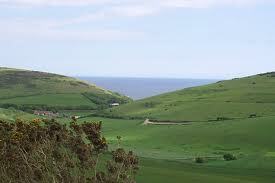 In Fitzpiers, who is of an old and noble family, Melbury sees a brighter future for his adored daughter Grace. As Grace and Giles’s youthful affection begins to fade in the wake of Melbury’s interference, Marty South a strange young woman nurses her own old love for Giles which goes unrequited. The world of the woodlanders of Little Hintock is an old one, one of traditions and ancient trades – Mrs Charmond and Fitzpiers do not entirely fit into this world, bringing with them sophistications and ideas at odds with the woodland people. As some of my fellow Hardy readers will possibly read this review – I hesitate to say too much more – in case of spoiling the rest of the story. Suffice to say, in my opinion – whatever that is worth – this is an outstanding novel. Hardy’s descriptions allow the weaving together of beautiful imagery with a well-crafted story. I actually found the ending – of which I’ll say no more – to be wonderful poignant. For anyone who has read it – a question (no spoilers in your replies please) what do we think of Grace and Marty? I like both of them, for different reasons – although I began by thinking I wouldn’t care much for Grace. One of the things I like about Hardy’s female characters is that they seem real – they are flawed, vulnerable and sometimes do things the reader disagrees with. They are never merely vapid creatures in crinoline. Grace Melbury is no Bethsheda Everdene, but she grows as the novel progresses and the woman who emerges has been transformed from the girl she was by her experiences and disappointments in love. Read for my on-going Hardy reading project – which we are well into now, and for me at least has been a total joy. The Mayor of Casterbridge has always been a favourite for me among Hardy’s novels, and so it remains. Although not quite cast in the same mould as those novels often referred to as his pastoral works, for the setting of this novel is largely a small market town, it is for me, reminiscent of those novels, in the scenes of the country fair-ground and the lives of the people of a small market town. That the man and woman were husband and wife, and the parents of the girl in arms there could be little doubt. No other than such relationship would have accounted for the atmosphere of stale familiarity which the trio carried along with them like a nimbus as they moved down the road. The wife mostly kept her eyes fixed ahead, though with little interest–the scene for that matter being one that might have been matched at almost any spot in any county in England at this time of the year; a road neither straight nor crooked, neither level nor hilly, bordered by hedges, trees, and other vegetation, which had entered the blackened-green stage of colour that the doomed leaves pass through on their way to dingy, and yellow, and red. The grassy margin of the bank, and the nearest hedgerow boughs, were powdered by the dust that had been stirred over them by hasty vehicles, the same dust as it lay on the road deadening their footfalls like a carpet; and this, with the aforesaid total absence of conversation, allowed every extraneous sound to be heard. For a long time there was none, beyond the voice of a weak bird singing a trite old evening song that might doubtless have been heard on the hill at the same hour, and with the self-same trills, quavers, and breves, at any sunset of that season for centuries untold. But as they approached the village sundry distant shouts and rattles reached their ears from some elevated spot in that direction, as yet screened from view by foliage. When the outlying houses of Weydon-Priors could just be described, the family group was met by a turnip-hoer with his hoe on his shoulder, and his dinner- bag suspended from it. The reader promptly glanced up. The turnip-hoer had already begun shaking his head. “Why, save the man, what wisdom’s in him that ‘a should come to Weydon for a job of that sort this time o’ year? Young Michael Henchard and his wife Susan and their child Elizabeth-Jane arrive on foot at a country fair. Michael a hard drinking hay-trusser looking for work, is bound down by the responsibilities of being a family man. Foul tempered and spoiling for trouble, Michael sets to drinking rum as soon as the three arrive at the fair. Shockingly Michael offers his wife and daughter to the highest bidder in the midst of a drunken row, an unknown sailor steps forward, and Michael watches his wife and daughter leave with the stranger. The following day – horrified and ashamed at what he has done, Michael vows to stay off all strong drink for a period of twenty years – one year for each year he has so far spent on earth. In the years that follow, Michael Henchard establishes himself in Casterbridge as a respected member of the community. Eighteen years after the incident at the country fair, Susan and her daughter return to the country fairground. To the same annual fair that Susan had left with the sailor years before, looking for someone who might know Michael Henchard. They are directed to Casterbridge. The Michael Henchard that Susan encounters now is a changed man, for he is now the Mayor of Casterbridge, a successful business man, with a large house. Henchard initially tries hard to right the wrongs of the past. However Henchard is a flawed man, self-destructive prone to dreadful rages and terrible envy. Yet though Henchard is often tempted to do dreadful things, to plot and scheme, and even plot terrible physical revenge, his sense of right and justice generally overrides his baser motivations. Henchard is a man driven by spontaneity fuelled by his temper – which then often quickly cools. On the night that Susan and Elizabeth-Jane arrive in Casterbridge another newcomer arrives in Casterbridge, a Scotsman named Donald Farfrae, who in a similar line of business as Henchard, is persuaded by the mayor to stay in the town and go to work for him. Typically, Henchard in a moment spontaneous comradeship imparts the story of his past to his new friend. And so the scene is set for a masterly tale of secrets and lies, misunderstandings, disappearances and reappearances. The Mayor of Casterbridge is the story of a self- destructive man who is nonetheless a very human one. The Mayor of Casterbridge is a wonderfully fast paced construction of action and re-action, full of drama, intrigue and excitement. 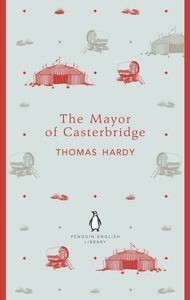 The fortunes of these men wax and wane, as one might expect from Thomas Hardy, and it is fair to say that the story of The Mayor of Casterbridge is not an especially happy one, but it is an unforgettable one. The story of Michael Henchard which was subtitled – the life and death of a man of character, is one of less melodrama than say Tess of the D’Urbervilles, it is as the subtitle suggests a novel which is very much character driven. Michael Henchard is the most important character of course and he eclipses all other characters in the book, he is a continuous presence even in the scenes he isn’t in. I have to admit that I rather like the character of Michael Henchard – he is a deeply flawed man, but one that I find quite sympathetic, because he is someone we can understand – even when we loathe his actions. 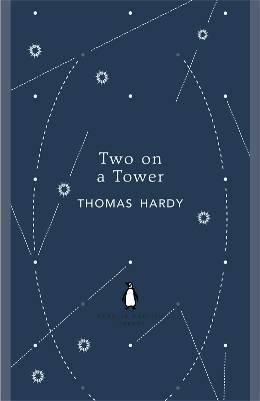 Two on a tower is the latest read for my on-going Thomas Hardy reading challenge. I had read it before and have an old copy of it knocking about –however I did treat myself to a lovely new Penguin English Library Edition in a moment of weakness. After such a long time since I first read it, I hadn’t remembered that much about ‘Two on a Tower’– I remembered it as a romance – but not much else. It is probably one of the slightly lesser known novels of Hardy. The story concerns Lady Viviette Constantine and Swithin St Cleeve. St Cleeve is a beautiful young man, barely twenty he is a keen astronomer who has made an observatory for himself in an old tower owned by Lady Constantine. The son of a deceased clergyman, St Cleeve lives humbly with his ageing grandmother. Raven haired Lady Constantine – with an absentee husband, and almost ten years his senior – falls in love with Swithin almost as soon as she meets him. Enthusiastically encouraging Swithin in his astronomical ambitions Lady Constantine funds the acquisition of some special equipment for his observations, becoming something of an apprentice in his scientific researches. When news reaches her that her husband is dead, Lady Constantine allows her feelings full reign. At the top of the ancient tower, Viviette and Swithin create their own private world, away from the eyes of the society whose rule they are breaking. Swithin St Cleeve is very much Viviette’s social inferior, but with the death of her husband she is left almost penniless. As their relationship deepens and moves forward, Viviette particularly is keen to keep the truth of their relationship secret despite the suspicions of a newly returned brother and the unwanted attentions of a middle aged Bishop. The tone of this novel is in some ways quite different from many other Hardy novels. It marked something of an experiment in writing for Hardy – as did ‘The Trumpet Major’ – being an historical work, and ‘The Laodicean’ with its theme of modernity. It does strike me as I re-read more of my beloved Hardy – that he was a writer constantly evolving. ‘Two on a Tower’ is a gentle story – there is slightly less drama than in many other novels and for me quite a bit of subtlety in the story of these secret lovers. There is drama though; it will be no surprise to other Hardy readers that the path of true love does not run smooth; I will say no more than that. There is something slightly hackneyed about the story of these two literally star-crossed and socially mismatched lovers – but it is a charming and readable novel nonetheless. There is still plenty of Hardy’s recognisably lovely descriptive prose, although a little less of the pastoral than I like – it is not totally absent. Set against the background of the universe and the mysteries of the solar system, the characters of this novel are made smaller. Whether this was Hardy’s intention or not I don’t know, but I sort of assume it must have been and for me at least it is really quietly powerful. Overall – while it won’t be my favourite of Hardy’s novels – it lacks the raw tragedy and drama of other works for that, it is still a beautifully constructed novel and certainly well worth a read. Read for my continuing Thomas Hardy reading project. Although I had read this before, it was one of the Hardy novels that I hadn’t remembered which is nice – as it is rather like coming to it for the first time. Hardy was an architect before he was a novelist and again in this novel we have a young architect who appears to resemble the young Hardy. The sun blazed down and down, till it was within half-an-hour of its setting; but the sketcher still lingered at his occupation of measuring and copying the chevroned doorway–a bold and quaint example of a transitional style of architecture, which formed the tower entrance to an English village church. The graveyard being quite open on its western side, the tweed-clad figure of the young draughtsman, and the tall mass of antique masonry which rose above him to a battlemented parapet, were fired to a great brightness by the solar rays, that crossed the neighbouring mead like a warp of gold threads, in whose mazes groups of equally lustrous gnats danced and wailed incessantly. 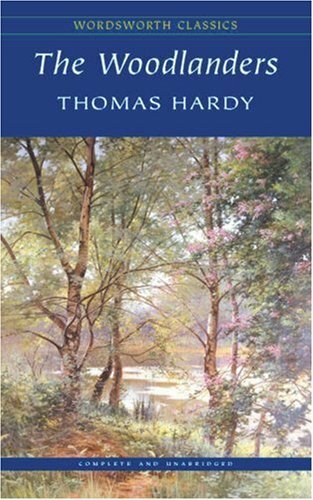 One of the things I so love about Hardy is what is often called his pastoral scenes, and as this is not in any way a pastoral novel, I did miss that a bit. Although there is still some of Hardy’s lovely descriptive prose. A Laodicean is rather an unusual Hardy novel, in some ways it doesn’t feel quite like I expect a Hardy novel to feel, although I did enjoy it very much. There is something rather reminiscent of Francis Brett Young in A Laodicean. When I have read Brett Young novels, I have often fallen into describing them as being a little Hardyesque. There were moments in this novel that put me rather in mind of Francis Brett Young’s ‘White Ladies’. One recurring theme in many Hardy novels of course is the demise of traditional ways of life juxtaposed with the new world that was emerging at that time. A Laodicean is very much about that new world, there is no nostalgia for the old. The Laodicean (someone whose religious beliefs are “lukewarm”) of the title is Paula Power (even the character’s name to me has a more modern sound than some of his other heroine’s names) who longs to be a part of the modern world. Her father made his fortune as a railway contractor, and bought the ancient castle De Stancy, that Paula is passionately determined to restore. Paula has the telegraph connected to the castle – and uses it all the time in the course of the story. George Somerset is a young architect – who is invited to compete for the chance of the commission to restore the castle, falls in love with Paula. George represents the new nobility of “talent and enterprise.” However the brother of Paula’s great friend Charlotte De Stancy – of the ancient aristocratic family that once owned the castle – returns, and aided by his villainous illegitimate son, sets out to win Paula for himself, by any means. Paula likes the idea of being a De Stancy, but is drawn to George from the start. As so often with Hardy heroines, Paula keeps her options open in matters of the heart, although in every other way knows her own mind completely and is a strong modern woman. The various machinations of De Stancy and his son allow this fast paced novel to become quite a page turner – and for me it was a quicker read than I might have expected. In a novel which sees the frequent use of telegraphing and photography and where characters journey back and forth to the continent with the ease that characters in other novels journey to Casterbridge, the feel is altogether different. Although very much at the heart of the story, Paula is seen through the eyes of others far more than she is observed by the reader, and so she is seen at something of a distance. 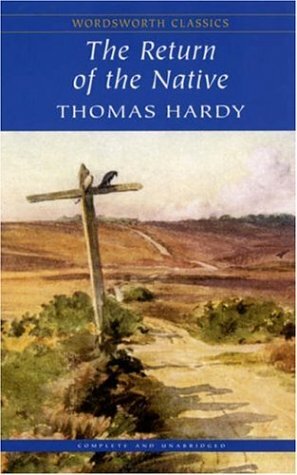 This could never be my favourite Thomas Hardy novel, but it is interesting for its differences and really very readable. Hardy was obviously interested in the new technologies that were all around him, I can imagine him meeting someone who had a telegraph in their home – and finding out all about it, how it worked, maybe having a go at sending a message – boys and their toys! Maybe things don’t change that much after all. This was the latest read for my online Hardy reading group – we are reading one book every two months chronologically. I’m a big Hardy fan – and I am so enjoying rediscovering the works I first fell in love with when I was between about eighteen and twenty. I do find though, that my memory of many of the actual plots has suffered greatly over the intervening years – that was certainly the case with The Trumpet Major. My one recollection was of military men in uniform, at the time of the Napoleonic wars. I had completely forgotten how it ended – which I was rather glad of really. I think the Trumpet Major is generally considered to be a fairly minor work by Hardy. Of course it could be said that a minor work by Hardy is still a fairly great piece of literature – well I certainly think so. The Trumpet Major is beautifully written, and the characterisation is fabulous, many of the more minor characters beautifully comic. The English countryside and the natural world are always at their best in Hardy’s Wessex, and here the small rural communities that Hardy grew up in, are affectionately reproduced. In writing The Trumpet Major, Hardy was writing an historical novel – which he had been inspired to do after meeting with aged survivors of the conflict at Chelsea hospital in 1875. Although the story mainly concerns the three possible suitors for the hand of Anne Garland – Hardy also faithfully depicts both the fear and patriotism in small English communities at this time. A thin partition wall divides the home of the Widow Garland and her daughter Anne, from that of the Miller Loveday. The two households get along well together, although Mrs Garland feels that she and her daughter are socially superior to the Lovedays. This does not prevent her from marrying the genial Miller Loveday – but she is less keen for her daughter to marry either of his sons. John the elder is the eponymous Trumpet Major – a good honourable man in the tradition of many other Hardy heroes. Robert his brother to whom Anne once lost her heart when still a very young girl is a sailor – and something of a womaniser. The third suitor to Anne is the cowardly oafish Festus Derriman, a conniving Dragoon, and nephew of the local squire. It is Derriman whom Mrs Garland (later Mrs Loveday) champions in her social ambitions for her daughter. Needless to say there are many obstacles, misunderstandings, tears and fainting aways to be gone through before Anne decides with whom her future will rest. Anne is ever so slightly irritating at times – I found myself tutting and saying “for heaven’s sake you silly girl!” However John Loveday – the Trumpet Major is wonderful – sigh! I also rather adored Uncle Benji – the horrid Festus Derriman’s uncle – he’s a masterful comic creation. I won’t give away the ending so I will say no more of the story. Overall however I found The Trumpet Major entertaining and hugely readable – it has in fact a much lighter touch than many other Hardy novels and could be said therefore to be a quite quick read. It is certainly a lighter novel than Far from the Madding Crowd or Return of the Native, which the Hardy group read recently but for me it still has much to recommend it. Thomas Hardy is one of my favourite authors – and I know many other people love his writing too. As I have read all the Hardy novels before and nearly all the short stories this was a re-read for me although I had remembered surprisingly little about it. That for me was a bonus as it was almost like reading it for the first time – although things did start to come back to me as I read. Other Hardy readers beware – there are spoilers ahead. 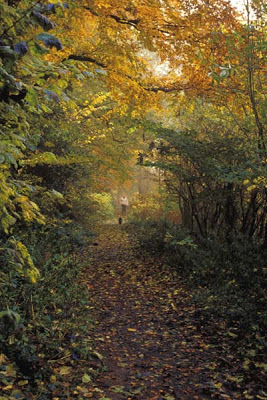 In The Return of the Native, Hardy uses the landscape of Egdon Heath to set the mood for the entire novel. The Heath is almost a character in itself – a timeless landscape which carries the reminders of the civilisations that have come before, it is a dark looming presence. The characters are divided both physically and emotionally by the heath, needing to traverse it endlessly to interact with one another. Most characters love the heath, work on it and understand its beauties and its histories others particularly Eustacia Vye are imprisoned by it and long to get away from it. Hardy presents us with a way of life which was already under threat – the reddleman was already becoming a rare sight in these times, he continually reminds us of the passage of time, and the smallness of man upon the larger landscape of the heath, old traditions and myths are woven into the story of the people who live their lives on this most impressive landscape. This was Hardy’s first real attempt at tragedy as character after character is driven to destruction in the shadow of Egdon Heath. Eustacia Vye is beautiful and capricious, living on the Heath with her grandfather, she is entangled with Wildeve using bonfires to signal to him across the heath – but he is supposed to be marrying Thomasin Yeobright, the cousin of the returned native – Clym Yeobright. However when Eustacia hears about Clym who is returning from Paris –a place she can only dream of – she firmly sets her sights on him – planning to have him return to Paris with her. 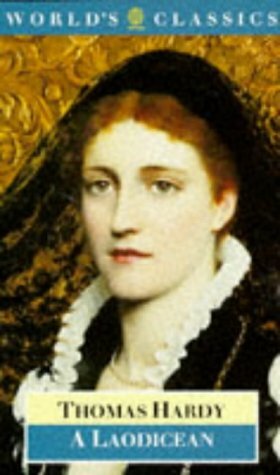 Seeing it as a punishment of Eustacia, Wildeve marries Thomasin – and Eustacia gets her man, although in doing so – she sets him against his mother. This falling out has tragic repercussions from which Clym never really recovers. Whether Eustacia really loves poor Clym is open to debate – yet their union is not a happy one. Despite Clym’s insistence that he’ll never return to Paris – but become a school master in Budmouth instead – Eustacia still has her sights set on the boulevards of her imagination. In preparing to become a school master – Clym sets himself to reading – and in so doing damages his eyesight to the point where he can no longer read, and in fact has his vision seriously impaired. Not wishing to be idle – he takes to furze cutting alongside other colourful characters of the heath, instead of being proud of her young husband for his industry and flexibility – Eustacia is horrified by and ashamed of his work. Meanwhile, innocent, gentle Thomasin is married to the selfish and grasping Wildeve who after inheriting money plans to run away with Eustacia. Thomasin however is loved quietly and honourably by the reddleman Diggory Venn – it is Venn who helps to ensure she is married to Wildeve rather than disgraced by his desertion of her, he is instrumental in returning to her money that had fallen into her husband’s hands. It almost goes without saying – that Hardy punishes those who the reader may see as deserving punishment – Eustacia and Wildeve are doomed – though poor Clym is left heartbroken and guilt ridden. The only characters finding real happiness are Thomasin and the wonderful reddleman – who gives up being a reddleman and acquires a dairy herd. This happy ending for Diggory and Thomasin – was not what Hardy had originally intended – but I have to say it is more satisfying than the ending we might have otherwise had. Adventuress and opportunist, Ethelberta reinvents herself to disguise her humble origins, launching a brilliant career as a society poet in London with her family acting incognito as her servants. Turning the male-dominated literary world to her advantage, she happily exploits the attentions of four very different suitors. Will she bestow her hand upon the richest of them, or on the man she loves? Ethelberta Petherwin, alias Berta Chickerel, moves with easy grace between her multiple identities, cleverly managing a tissue of lies to aid her meteoric rise. In The Hand of Ethelberta (1876), Hardy drew on conventions of popular romances, illustrated weeklies, plays, fashion plates and even his wife’s diary in this comic story of a woman in control of her destiny. This is quite different from many of Hardy’s other novels, having a mainly London society setting. The Hand of Ethelberta – subtitled a comedy in chapters – isn’t really my idea of a comedy I must say, although there is more romance in this novel, and we aren’t subjected to the tragedies of other better known Hardy novels. Ethelberta – the daughter of a poor family, manages to raise herself up in society, she is ambitious and bright, and knows what she wants -although she has moments of indecision. Having secretly married the elder son of the family she was working as governess for, she has already raised herself up, although at a price. Living with her mother-in-law Ethelberta is forced to keep her family a secret. As the story begins Ethelberta has written a volume of poetry which becomes much talked about and she is soon a celebrated and sort after member of society. While living in London Ethelberta’s household is not all that society sees it as – her servants are in fact her siblings, her father working in another household as butler where on one occasion Ethelberta goes to dine. Ethelberta still a young girl though already a widow inherits the lease on her mother-in-laws house in London, where she lives knowing that when the lease expires she will have nothing. She knows she must marry a wealthy man and provide for her large family. Hardy presents the culturally elite in a not very flattering light, alongside the working men and women of Ethelberta’s family all of whom act from selfless motives and happily keeping their relationship to ‘Berta a closely guarded secret. Ethelberta is in love with Christopher Julian, a young musician – who in turn is loved desperately by Ethelberta’s sister Picotee. It is fascinating that Hardy did not end this novel in the conventional way (for Ethelberta at least) – which is one of the things I particularly like – Ethelberta does not end up marrying the poor musician, but a wicked old peer – who she even manages to reform in time. Christopher and his sister Faith, Ethelberta’s family, her workman brothers, her sister Picotee the pupil teacher, turned maid, and her butler father are portrayed as good honest hard working folk, moral and traditional, in complete contrast to the society in which Elthelberta now moves. I like Ethelberta as a character – she is less flighty than some of Hardy’s other female characters – but she is driven and having set upon an end goal she doesn’t allow her doubts to alter her course. She loves her family and it is for their sake that she does what she does. My favourite character is Picotee – I really felt for her loyalty and unrequited love – and so I love how the novel ends for her – it is she and Christopher who are the heroes of the novel. This is not my favourite Hardy read – although having read it now three times – it is one I feel very familiar with. Of the three times that I have read it – this was the occasion I liked it the best, but probably because I knew it quite well. The style of this novel is at times a little dry and meandering – padded out and some of the best bits come right at the end.